What is the new party policy of the Kremlin? Is there any ideological horizon for “United Russia” [Edinaya Rossiya] * ? What lays under Putin’s western orientation? 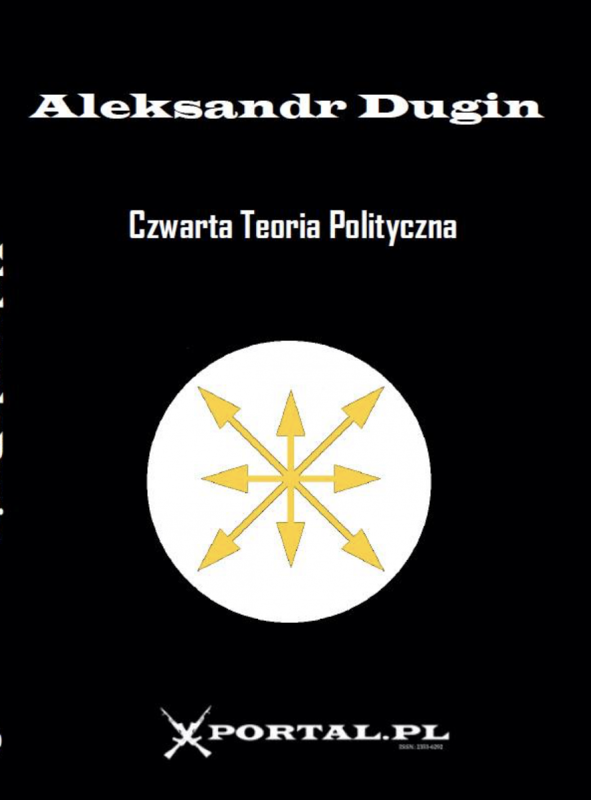 On the eve of the visit of the American president in Russia and the restructuring of the movement EURASIA into a party (May 30), on these and other problems the answers of the politologist and geopolitician, director of the Centre of Geopolitical Expertise, philosopher-eurasist Aleksandr Dugin. V.: You call Putin a patriot although many other politologist consider him as a liberal. Who is actually Putin? What or who forms his views? AD : There are two factors by which Putin is bound to measure every decisions. On the one hand there is the need for being supported by a high level of domestic confidence as expressed by a high rating, a positive evaluation from the public opinion, support from the voters etc. On the other hand there is the external orientation – support from the West, closer relations with Europe and NATO, an effective action on the foreign policy side. Between these two factors there exists a very composite interaction and an almost reverse symmetry. The Russian people are traditional, in the majority they expect from the president the building of a “strong arm”, a solid state, a patriotic attitude, the affirmation of national originality, as it is testified by many sociological polls. At the same time the foreign world, especially the West, wants from Putin just the opposite thing – an active policy of liberal reforms, the affirmation of western values, the observance of the standards of the European society. Some statistical information: according to a survey led by the VCIOM**, 71% of the Russians consider that Russia belongs to some original – “eurasian”, or Orthodox – civilization, therefore she does not accept the Western path of development. Only 13 % call Russia as a part of the Western civilization (poll from November 13, 2001). As the liberal reforms go on, there is increasingly negative reaction from the patriotic electorate (the so-called “Putin’s majority”) against Putin itself and his actions. Even the western press remarks this fact: “What causes Putin to spend these openly pro-western politics, while his people does not want it at all?” – such is the question set by the American Los Angeles Times before the visit of George Bush in Moscow. Having been elected on a patriotic wave, Putin, using the so-called “middle” period, is acting more and more in a liberal key, scoring points in the West. 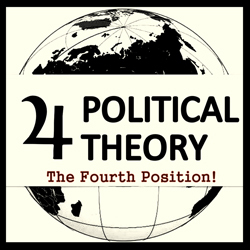 There is a correlation between the pre-electoral times, to which correspond patriotic, étatiste policies by the president, and, on the contrary, the times when unpopular measures and rapproachment to the West are most likely to occur. Putin, according to every evidence, pursues this pragmatic balance, instead of dogmatic “patriotism” or dogmatic “westernism”. V.: The liberals win over the “orthodox chekists”? AD : I figure that the positions of the so-called “orthodox chekists” – though I do not like this concept – will begin to improve since this spring, when we shall pass the biennial mid-term period of the presidency of Vladimir Vladimirevic Putin. There will be some kind of liberal climax and then, as the pre-election condition approaches, the liberal-westernist agenda will be amended to the benefit of the patriotic side. Accordingly, the balance of power in the Kremlin will change – or, more exactly, the power-policy and étatiste initiatives will get a new boost; and this will also be mirrored in the strengthening of one group to the detriment of the other. But I do not exclude that the deal will turn out in a different way, and someone else will act as the engine of patriotism: someone different, with no links to St-Petersburg, from where most observers expect it to come. V : On whom will Putin have to lean in order to keep the grasp on power? AD : In order to preserve a strong position in the state leadership, Putin will necessarily have to observe in his political action just that electoral balance: 71% of patriotism – 13% of liberalism (in strict proportion to the VCIOM poll). This will yield him a new electoral term without problems. In the present moment we almost see the reverse distribution, as 71% of his policies are oriented to the West, and 13% to the side of patriotism. At the end of 2002 this ratio will change dynamically enough to a different proportion, and “Putin’s majority” will be reanimated: therefore one must not derive too far-reaching conclusions from the increase of pro-western moves. Also the value of the summit must not be overestimated. In the end, the presidents of two mighty powers always have issues for personal discussion. Not every meeting leads to a closer relations. V : In your opinion, who might be called today as the bearer of the patriotic étatiste ideology? AD : It is a very diffuse category. The “Petersburg team” as such does not exist. There are various people from St.-Petersburg, close to Putin, but they cannot be united under the sign of any definite world-view. It seems that the myth about the “orthodox chekists” was but a newspapers’ hoax. Having been in the past a member of the intelligence services is far from being an ideology. It is rather a style, a kind, which in some definite situations can get on with different world-views – patriotic as well as liberal - pro-western. It must be stressed that around the first candidates to the elaboration of the “patriotic doctrine” from the president's close entourage, ranked among the “orthodox chekists”, no ideological headquarters nor serious intellectual group has developed yet. V.: Will the approaching elections sharply change the alignment of forces? AD : In December 2003 (Duma elections) and 2004 (presidential elections) the situation will change. Firstly, liberal policy will reveal its negative results (grievance of the population against housing-municipal reforms, raise of the fares on power supplies, liberalization of the monopolies on primary resources etc. ), and, secondly, the orientation towards the West will reveal its frustration, even because it simply will not and even theoretically cannot yield any way appreciable positive results. This will increase the significance of the patriotic factor – if the president will not make use of it, all the dividends will be gained by the opposition. V.: There are some centrists who support the president - will they help? Thus these successive mergers were mirrored in the ratings in a rather strange way – the aggregate percentage of the formerly autonomous set of parties not only did not grow, but even fell. United Russia appears to be not so much a political support, how much a weatherman of the electoral positions of the president himself. And this does not ease his problem in any way. I do not concede that such parties as United Russia are able to absorb any consequent ideology (which still has to elaborated), and also to bring the president further support. It is rather a preventive measure against frondism and a party-like outfit of administrative resources. Which is not so bad, but it is not enough. I think that our party EURASIA could much better cope with the ideological problem. Eurasism has gradually become an extremely popular doctrine – it combines in itself both conservatism and a definite openness. Together with all this, its own kind of “scientific patriotism”, founded on geopolitics. I am rather skeptical about the possibility of inoculating the eurasist idea to the patented “party of power” – it is another kind of people and structure, they do not have that temper and that mind. Also from this was born the idea of the autonomous party EURASIA, a patriotic party, clearly ideologized and pro-presidential. V.: Apart from realizing the personal political interests of its founders, can this have any application for the president in foreign policy? AD : I think that this is just the strong point of eurasism. The party EURASIA puts as its own major task the building of the Eurasian Union, as a direct analogy to the European Union. Being oriented to revitalizing the relations with the Eastern countries, at the same time we support an active and closer relationship with Europe. In this also consists eurasism. Pro-presidential forces of a different kind are doomed on following like a shadow the pragmatism of his foreign policy steps, which essentially narrows their room for maneuvering. The party EURASIA, on the basis of its own ideology, cannot move to a pro-american direction – among US political forces we support only the republicans-isolationists, not because they like us (“American love” is something doubtful and will bring nothing good) but since they call the US to refuse the sponsorship of globalization, to concentrate on domestic issues and to leave the rest of the world alone. And at the same time eurasism considers that the future of Russia lays in the effective conclusion of a series of strategic alliances with the powers of the “coastal zone” - from Europe through the Arab world up to Asia and the Far East. As a consequence, such party becomes the predictable and transparent constant partner for huge quantity of political forces of foreign countries. Pragmatism cannot be the content of concrete politics. It is always placed into some definite framework and must have room for maneuvering. For Putin it is very important to have both an atlantist party wing, loyal to him, and an eurasist one, loyal too. In such configuration he will enjoy full freedom for any kind of moves. Today it is alright with the atlantists, but some vague and fragmentary eurasism is used by the opposition. This is useful not only for consolidating the domestic affairs of the country, but also for the optimization of foreign policy. V. : As I understand, you feel sure that Putin will gain also the second term of presidency? Putin’s task is to create in Russia a stable political regime serving the interests of the Russian statehood, the concerns of the people, the priorities of our geopolitics. Only after that he can think about withdrawing from the deal. The present balance is deceitful and very frail. Now it stands on Putin alone. It would be desirable to make so that it could stand on itself on the basis of a political and world-view system. The construction of an adequate, fine-tuned, balanced policy in the sphere of statehood, patriotism, national idea is perhaps the main task, and only Putin can carry it out. On our part we shall make everything we can to help him. Trans. from the Russian original by M. Conserva. * Edinaya Rossiya (United Russia) is the new political party born out of the successive merger of three centrist parties: Otetchestvo [Fatherland], Vse Rossiya [All Russia] and Edinstvo [Unity]. ** VCIOM, Pan-Russian Centre for the Study of Social Opinion.